Here I am sharing with you my latest creation for Unicorn Challenge Blog. The Theme is "Favourite Time of the Year" and you have until 30th April to submit your entries. It would be lovely to see your creations so please come on over and join in with us. Why not come on over to the Unicorn challenge blog and join in the fun. Many thanks for stopping by to visit me. If you would like to keep up to date with my makes why not become a follower of my blog, that would be very much appreciated. Such a beautiful card! I love the way you colored Tilda! Your image is just adorable. The flowers and pearls are gorgeous. So glad that you could join us this month in our Spring theme at Imagine That, and hope to see again next month, Lisa Lynn DT. What a beautiful card and the design is wonderful thank you for joining us at imagine that and good luck in the draw. Just so beautiful. Loving the flowers and aqua colours. Thanks for playing our challenge at Lil Patch of Crafty Friends. 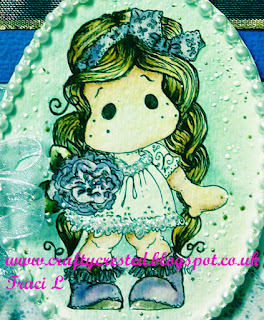 A very sweet & pretty little card! I love the colours you've used! This is stunning Traci, love the colours and the image. Just wanted to welcome you to my design team, look forward to working with you. Thank you for your visit to my blog and your sweet comment! What beautiful work you have done with this adorable Tilda! Such a delightful creation with all your flowers and pearls! 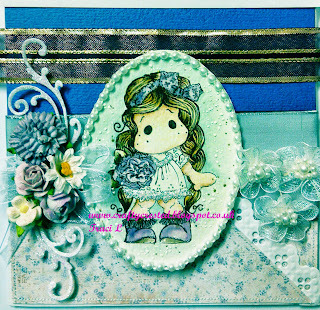 Love all of the gorgeous flowers and embellishments you used on this. The frantage is a great touch. Thank you for joining us at Li’l Patch of Crafty Friends for our challenge. Awwww, how precious! 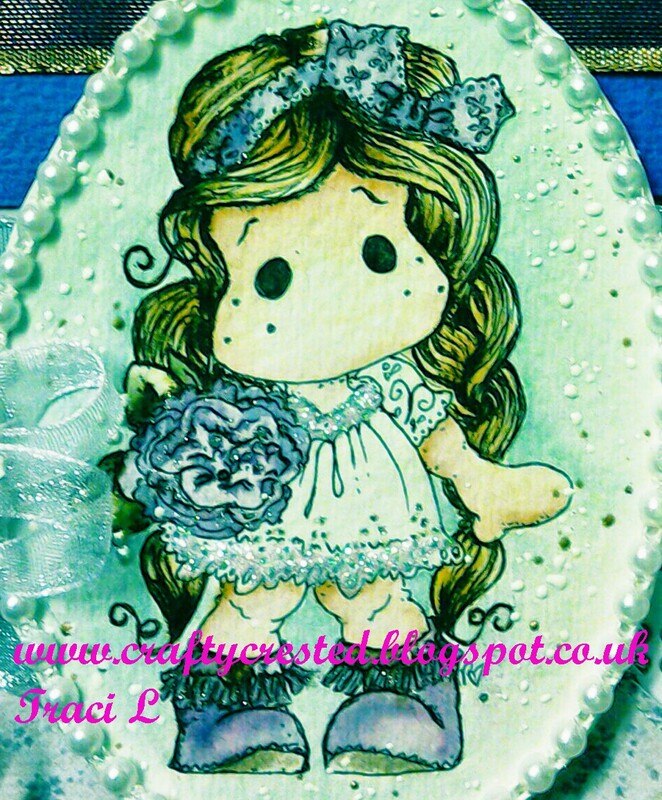 Love your adorable image and wonderful embellishments. Thanks for joining our spring challenge over at Imagine That's Creative Playground.